Попробуйте здесь китайскую кухню. Здесь готовят изумительную утку по-пекински, дим-самы и жареные креветки. Здесь посетители могут продегустировать неплохой пудинг из манго и хорошие блины. Здесь можно попробовать вкусное вино. Многие гости утверждают, что в этом ресторане хороший чай. Уютная атмосфера Man Ho позволяет гостям расслабиться после тяжелого дня. По отзывам клиентов, персонал здесь креативный. По словам клиентов, сервис восхитительный. Цены здесь демократичные. Это место может похвастаться впечатляющим интерьером. Множество посетителей оценили это заведение на 4.5 на TripAdvisor. 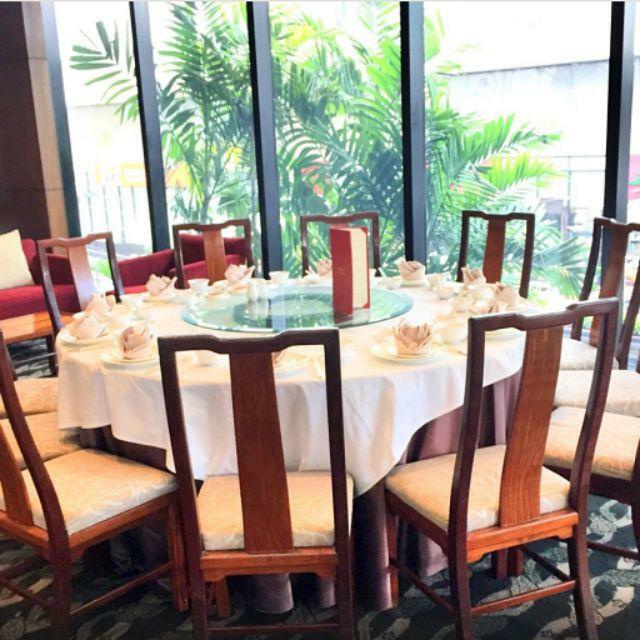 Excellent high end dim sum and Chinese food without the high end price. The restaurant is very appealing and has a warm and welcoming environment. What makes this place real high end is their staff and how attentive they are in the service the provide. A customer had their purse on the floor and a server immediately walks by and puts the purse on a small stool. Not once did I need to ask for a tea refill (and this is a tea cup, not a tea pot). The food here is spectacular. For lunch they had an all you can eat or a la carte option and I opted for the AYCE. With some AYCE places, you can expect mediocre or good food but here, the food is fresh and excellent all around. 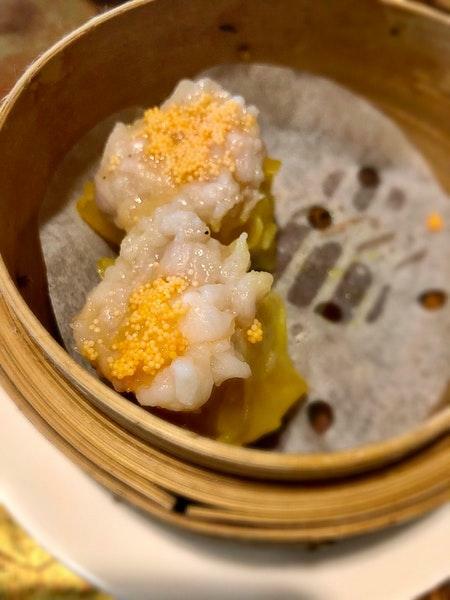 Their Shrimp Dumpling was nice big and plump and the skin was not too thick. Their fried rolls was excellent and not too greasy.One suggestion I would like to make, is if it's a single person, instead of the standard portion if they can reduce it. For example, instead of the standard three Shrimp Dumpling per order, they can do one piece. Or instead of three rice noodles, they can scale it down to one. This way, a single diner has the opportunity to sample more varieties. 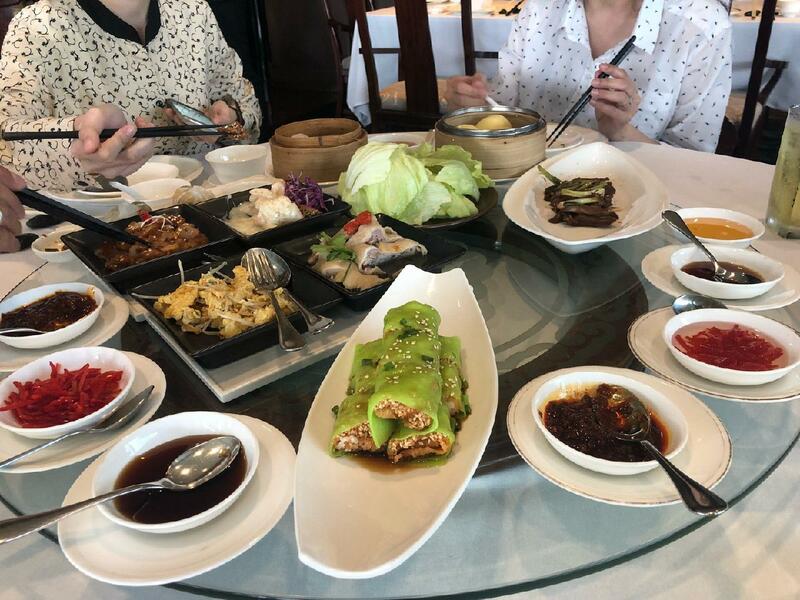 Quality dim sum and very attentive service. Good for dimsum. One of the best dimsum buffet restaurants in Bangkok. The price, quality and taste are matching.